When I was a kid there was this TV show where everyone stood around on the Bridge of a starship and pretended to be in constant panic. Somehow I always imagined it would be like that, with a command chair and everyone around it doing a job. 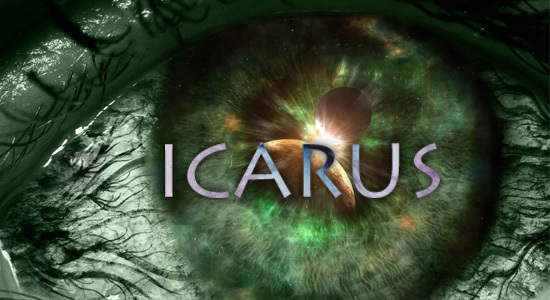 The Icarus is nothing like that. First, it is entirely automated. The room itself is roughly fifteen feet wide and ten feet long and is very cramped with nearly every inch of it filled with computing power. Unlike previous spacecraft, Icaris has no viewports and all the “seeing” is done via computer displays and mathematical wizardry. I was told to think of it more like a submarine than some kind of movie spaceship. There are two seats on the bridge for Captain [DELETED] and Lieutenant [DELETED], one massive communications computer, one similarly sized logistical computer and a guidance computer to the rear. You enter through the floor via a tunnel from the Science Division. The Bridge and the tunnel are both in free fall, which makes your stomach lurch every time you go into it from artificial gravity, but [DELETED] says we’ll get used to it. That tunnel splits, one way going up to the Bridge and the other going down to the Cans. They aren’t all in one large room like they were back on Earth. Instead, they are like little holes in the side of the tunnel and we climb into them, still in free fall, and seal them up. I’m also told the Cans act like escape pods should the ship be need to be evacuated. I asked why the tunnel had no gravity, as I would have preferred ladders to massive vertigo. [DELETED] told me it was to save energy and also for speed. I couldn’t argue with that fact. Once you got the hang of falling, getting to the Bridge or the Cans only took a matter of seconds. We’ve been ushered back to Recreation and our Quarters for disembarking and I’m typing this last beam from beneath the window-monitor as Luna Station’s lights flicker and go out. Distantly, I now hear air popping and metal connecting. I promised myself I wouldn’t do this but it can’t be helped. This is to my readers. I’m looking back at you now, watching the Earth over the horizon of the moon as I prepare to leave this solar system behind. Soon we’ll be hard burning for the Mars-Jupitor Time-Vortex Tunnel where we will make a short hop just beyond Neptune. Once there, it’s our longest burn to Charon, the marker that leads us to our next Tunnel and Alpha Centauri. After this beam, I can’t say when my words will reach you. I’m in a very unique position as I am able to say the words ‘goodbye’ to whomever I wish. There is only one person I would say that to, but she is no longer listening. This entry was posted in Icarus, Original Fiction, Science Fiction and tagged Alpha Centauri, blog fiction, Can, Earth, Icarus, Luna, Luna Station, Mars, Michael Lee, NASA, Science Fiction, SciFi, Time-Vortex, Tunnel, Vortex-Entry couches, William Shriver. Bookmark the permalink.